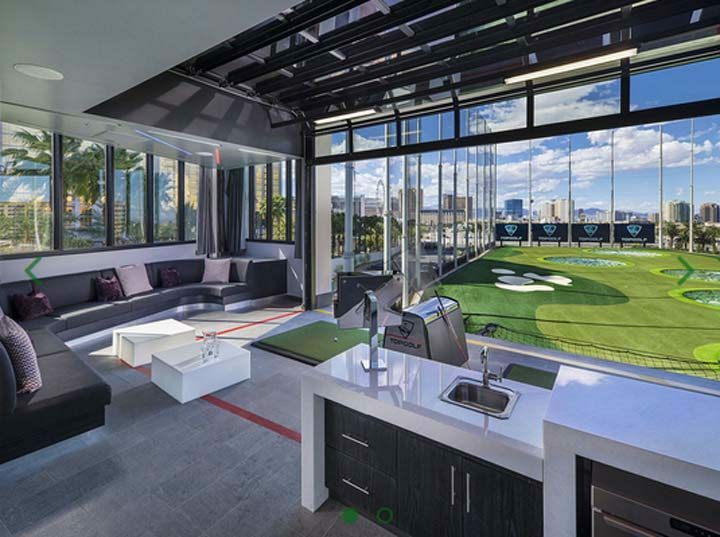 The Topgolf Las Vegas Chairman’s Suite Experience Sweepstakes is open to persons legally and physically residing in one of the 50 United States or the District of Columbia who are at least 21 years of age. The Topgolf Las Vegas Chairman’s Suite Experience Sweepstakes ends at 11:59 PM PT on November 5. Visit terribleherbst.com/topgolfgiveaway and complete all required fields on the online entry form. There is a limit of one (1) entry per person. Grand Prize: There will be one (1) Grand Prize Winner. The Grand Prize Winner will receive a trip to Top Golf Las Vegas to enjoy the Chairman’s Suite Experience for two hours for the Grand Prize Winner and up to twenty (20) guests of Grand Prize Winner each a to be taken between November 5, and December 31. The experience will include: (1) reservation in the Chairman’s Suite at Topgolf Las Vegas, reserved for two (2) consecutive hours (time of reservation to be mutually agreed upon between Sponsor and Grand Prize Winner and reserved at least two (2) weeks prior to arrival, (1) $1,500 Food and Beverage Credit applied during the length of stay). The total ARV of the Grand Prize is $5,000.00. First Place Prizes: There will be twenty (20) First Place Winners. These Winners will each receive one (1) $50 Topgolf gift card + Top Golf Swag Bag, with an ARV of $100 each. The total ARV of all of the Prizes is $10,000.00. I would love to win this. I would like to be in it on a nice snowy day.